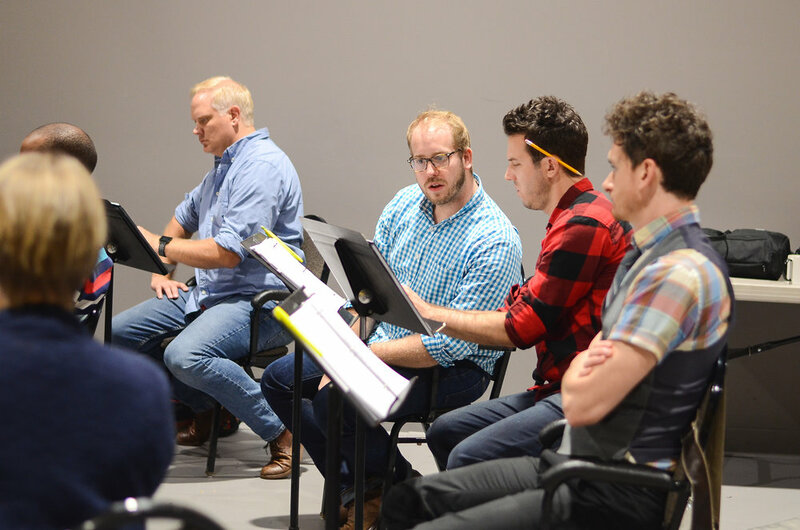 Theater Latte Da is committed to building the future canon of American Musical Theatre by supporting playwrights, composers and librettists through an artist-driven development process. Theater Latte Da’s cornerstone program for the development of new work is the NEXT Festival. Held each summer during the month of July, the NEXT Festival supports the development of 3- 4 musicals or plays with music each year. Creative teams receive travel, housing and a stipend to be in residence at Theater Latte Da for 2 weeks. Each project receives 50 hours of workshop time with professional directors, music directors and Twin Cities-based actors. Two public presentations are also a part of the developmental process. The presentations are scheduled with time in between the first and second presentation to allow the creative teams time to respond to specific audience feedback or simply to hearing their piece in a public setting, via rewrites and further rehearsals. year-round, however, the selection process for the NEXT Festival formally occurs between September and December. The NEXT Festival best serves projects that are past the ideation stage and have at least a completed first draft. We welcome work that expands the formal boundaries of musical theater, including plays in which music is an integral part of the storytelling. Theater Latte Da prioritizes developing work by creative teams that include women and artists of color.